Flooring Danbury | Flooring Contractor CT | Parquet Flooring 06810 - Zoltan European Floors, Inc. The type of flooring you have throughout your home says a lot about you; your style, your taste, and the value of your home. Whether you are installing new flooring for resale purposes or you just want to upgrade the space you live in for yourself, Zoltan European Floors, Inc. can help you install and enhance regular hardwood floors to parquet flooring. It’s true that the value of your home will significantly increase if you add hardwood flooring throughout your home. However, did you know that traditional wood isn’t the only option at Zoltan European Floors? While many people choose hardwood for its durability and quality, others may prefer tile for their aesthetic appealing properties. 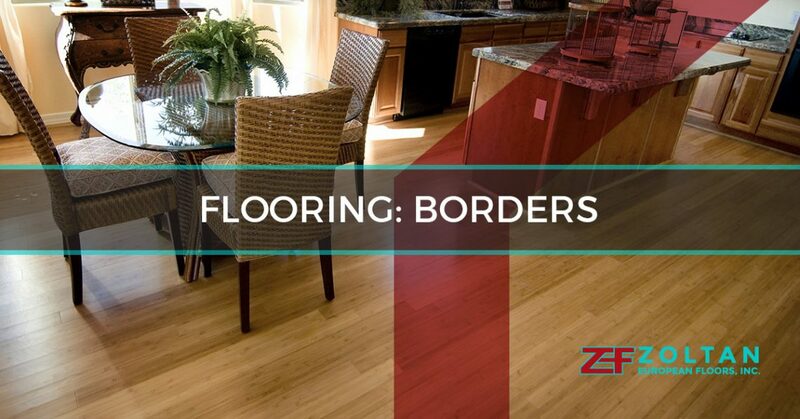 At Zoltan European Floors, we give you the option to make your wood flooring anything but ordinary by adding borders. Borders complete any room in your house and add style and elegance to any traditional wood flooring. Customized to your style and taste, you can choose between a variety of colors, patterns, and designs. We believe in making your floors anything but boring and do so by offering the highest quality materials. We pay attention to all details and strive for exceptional results each and every time. You and your floors are put first at Zoltan European Floors; we stop at nothing to provide you with what you need. Give your floor that personalized look you have always wanted and transform any room from boring into spectacular. Enhance, customize, and transform; your flooring can be anything you dream of with Zoltan European Floors, Inc. Contact a flooring contractor today for a quote on any borders we can do for you.